I got my start as a personal trainer at Crunch Gym on 83rd Street in 2009. I’ve also worked as a teacher and a cross-country coach at Winston Preparatory School. In 2014, I joined the team of personal trainers at the Riverdale Y. A big fan of running, I participate in different distances races: from 5ks to full marathons! I received my BA in Media and Communication Arts from City College of New York, and I’m certified by the Wingate Institute for Physical Education and Sports, including Injuries and Pre- and Postnatal Physical Training. In my free time, I enjoy running, lifting weights, yoga, and spending time with my little ones. 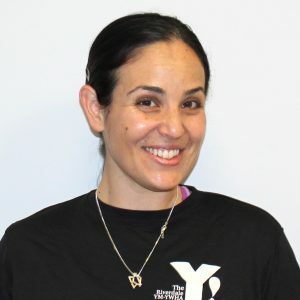 As a mother of two, I’m passionate about working with other mothers in the community, helping them stay active during their pregnancies, to help them get back in shape, and build a healthy lifestyle…something that’s more than challenging as a parent!